Mozart came from the charming city of Salzburg, known today for its music festival, baroque architecture and Mozart souvenirs. The climate of the region was never conducive to growing vines so it is more likely that Mozart drank wine produced elsewhere. We know from his letters that he was extremely fond of a glass or two. And sometimes even more. Of course, they’d been making wine in Austria long before Mozart’s time, for thousands of years in fact. Remnants of wine vessels have been found that date back to the fifth century BC. Viticulture thrived under the Romans and amazingly they grew at least one grape variety that is still cultivated today – Grüner Veltliner. By the 11th and 12th centuries, Vienna and Krems were exporting wine all over Europe. Wine production was so important that the penalty for stealing grapes was having your ears lopped off. If you didn’t help out during the grape harvest, you risked having your hands chopped off too. History does not record how many ear-less and hand-less people were wandering around Austria during the early middle ages. The first Austrian wine I tasted was somewhere in the Austrian Tyrol, that narrow bit of the country sandwiched between Germany and Italy. I was driving from London to Innsbruck although I’ve forgotten exactly why, but it must have seemed a good idea at the time. The wine was a light ruby-red Kalterersee, pleasant fruity and undemanding with aromas of cherries and perfect for a summer evening. Most of Austria’s vineyards are at the opposite end of the country, packed into Niederösterreich, or Lower Austria. Niederösterreich is the home of Winzer Krems (VINT-ser Kremz), Austria’s largest wine producer. It’s a cooperative made up of over 1,500 grape growers located in and around the town of Krems which has a winemaking history that dates back more than two thousand years. The entire Winzer Krems harvest is carried out by hand. And in case you’re wondering, the German word winzer means a vine grower. These fine wines are imported by Siam Winery but I’ve just learned that they’re not yet available in Pattaya. 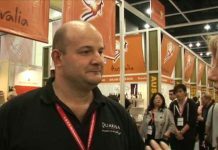 In Bangkok, you can find them at (a) Wine Focus, 981 Silom Terrace, Silom Road; (b) Surface Restaurant at 107 Soi Sukhumvit 53 and (c) The Beer Bridge Restaurant, Soi Langsuan, 1st floor of The Portico on Ploenchit Road. Depending on the venue, these wines will cost in the region of Bt 1,600 per bottle. 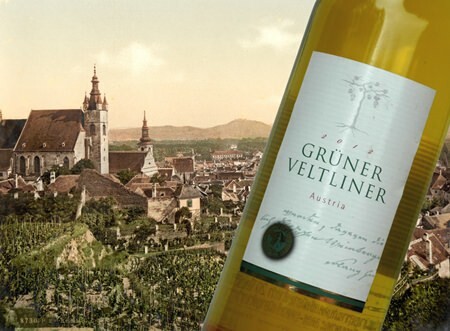 The white Grüner Veltliner (GROO-ner Felt-lee-ner) accounts for fifty-five percent of the Winzer Krems’ total harvest. It’s the signature grape of Austria, and by far the nation’s most widely planted wine grape. When I first tasted this wine it was in such a dimly lit room that it was impossible to discern the exact colour. I could see that it was white, but that was about it. In the bright light of my tasting room (which everyone else here calls the kitchen), I could see the bright straw colour with its unmistakable tinge of green. The first aromas are of flowers, fresh green apples, lemon peel and pomelo. There’s also the trade-mark tingle of fresh white pepper and a hint of peach, although the peach kept me guessing for a while. This is a crisp, clean wine with a lovely refreshing zing of racy acidity. 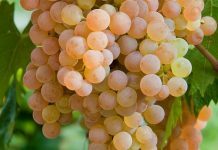 It’s totally dry, but there’s plenty of fresh fruit on the palate as well as that characteristic spritziness that you find in a Grüner Veltliner. It’s light-to-medium bodied and has a remarkably long lemony finish. I think I’d prefer this wine pretty cold, probably straight out of the fridge, because the low temperature will preserve the freshness and keep the body firm. In any case, in our climate it’ll warm up in the glass all too quickly. It would make an excellent apéritif to kick the taste buds into action. Grüner Veltliner has a reputation for being exceptionally food-friendly. Traditional Austrian cuisine like Wiener schnitzel comes to mind and the citrus overtones would also make it an excellent partner for fish. It evidently works well with sushi, a quality it shares with Sauvignon Blanc, with which Grüner Veltliner is often compared. I have a feeling that it would be perfect with Thai chicken and lemon-grass dishes or even a good old-fashioned quiche. If Mozart enjoyed wines that matched his own vivacious personality, he would probably have loved this one. We tend to think of Austrian wines as mostly dry whites, but about thirty percent are red. Mozart certainly wouldn’t have tasted this wine because the Zweigelt grape appeared only in 1922. Also known as the Blauer Zweigelt (BLAH-wer TSVY-gelt), it’s a cross between two older grapes, the St. Laurent and the Blaufränkisch. The grape is now the most planted red variety in Austria. It makes a light-style red wine vaguely similar to Grenache and was designed specifically for commercial wine. 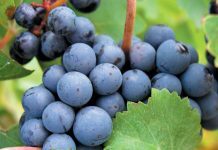 The grape was developed by the Austrian wine expert Fritz Zweigelt who, with touching modesty, named it after himself. The wine is a bright, ruby red with floral aromas of dark fruit. On the palate it’s absolutely dry, a suggestion of fruit and a refreshing dash of acidity which is fairly typical of a cool-climate red. The wine is fairly full-bodied and surprisingly mild in character with very little tannin and a pleasant velvety texture. I found the wine softened considerably after some time in the decanter so I’d suggest that you leave it to aerate for up to an hour, especially if you are new to Blauer Zweigelt. It’s a rather interesting wine and it would show its best with food. The wine company suggests drinking it with ham or sausages which sounds a bit mundane, but I suppose they’re taken more seriously in Austria than elsewhere. Being Austrian, I presume Mozart also enjoyed this kind of food with his wine, although the thought of The Great Man chomping through a pile of sausages seems slightly incongruous.